All-terrain style tread 20x2.125" tire for the Razor® DXT Drift Trike. Maximum recommended tire inflation pressure 35 PSI. 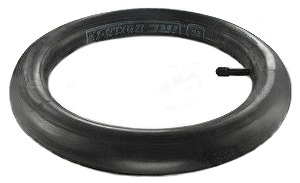 Straight valve stem inner tube for the Razor® DXT Drift Trike. Heavy duty straight valve stem inner tube for the Razor® DXT Drift Trike. This tube is three times heavier than the standard inner tube sold above. 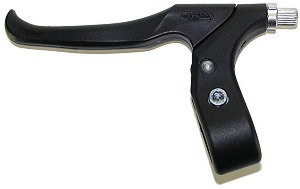 Left hand brake lever with built-in return spring for the Razor® DXT Drift Trike. 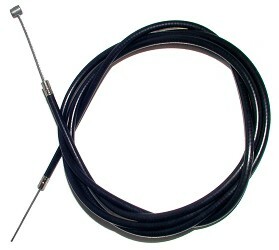 25" brake cable with 20" brake cable housing for the Razor® DXT Drift Trike. Aluminum V-brake for the Razor® DXT Drift Trike. 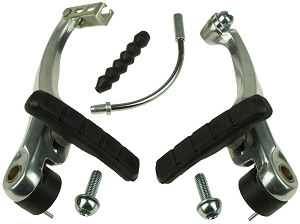 Includes 70mm brake shoes (pads), V-brake noodle with boot, and mounting bolts. Made by Radius®. 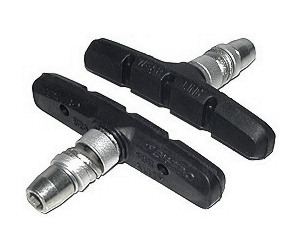 70mm (2-3/4") V-brake shoes for the Razor® DXT Drift Trike. Includes mounting hardware. 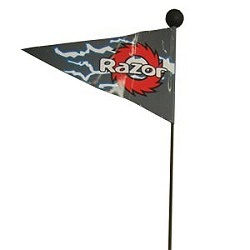 Replacement flag with pole and plastic ball on top for the Razor® DXT Drift Trike. 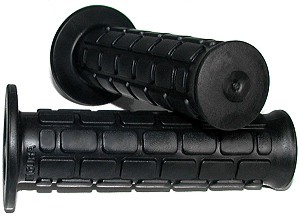 Pair of two extra-soft rubber handlebar grips with smooth hexagonal grip texture. 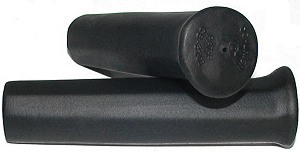 These handlebar grips absorb vibrations and jolts better than any other grips that we sell. 4-3/4" overall grip length. Pair of two Magura® handlebar grips with waffle grip texture and closed ends. 4-1/2" overall grip length. 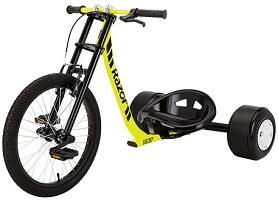 We stock parts for the Razor® DXT Drift Trike three wheel kick scooter.